On 1st June Professor Stephen J. 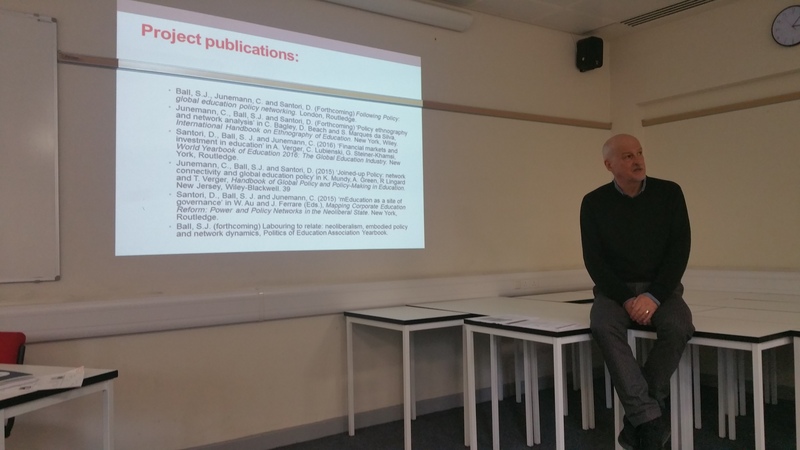 Ball (UCL IOE) presented at a CERS research seminar, at Middlesex University, convened and chaired by Professor Jayne Osgood. Focusing on the role of edu-businesses in educational delivery – running schools – and education policy, he argued that a new global education consensus is emerging, in the construction and conduct of which edu-businesses are major players. 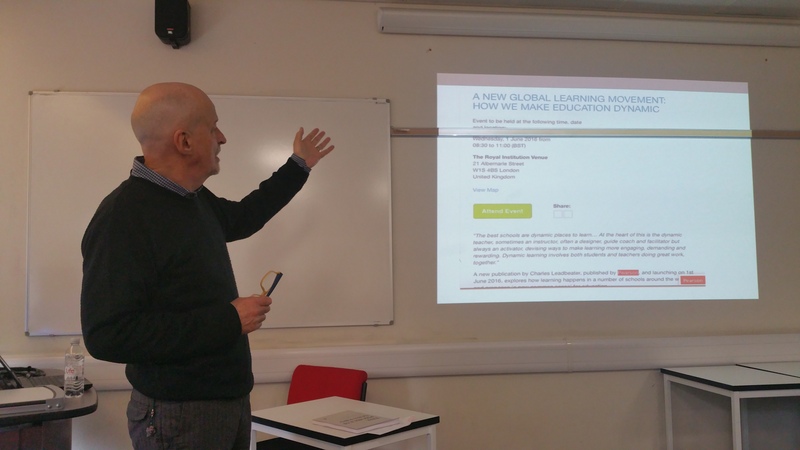 The seminar drew on some examples from research (Funded by Leverhulme and the British Academy) – Pearson, Bridge International Academies and GEMS. Stephen is Distinguished Service Professor of Sociology of Education at the Institute of Education, University of London, he is also a fellow of the British Academy, member of the Academy of Social Sciences, and has a number of distinguished affiliations to universities across the world. He is also Managing Editor of Journal of Education Policy. (2013) Foucault, Power and Education. (2013) The Education Debate (2nd Edition). Policy Press. He recently completed two related research projects, both addressing the ways in which education policy moves through global policy networks, one focused on Africa (funded by the Leverhulme Foundation) and the other on India (funded by the British academy). These build upon previous work on the increasing participation of philanthropy and business in processes of educational policymaking and were the focus of his talk. A recent paper by Stephen and Carolina Junemann on Pearson and PALF can be downloaded here: ‘The Mutating Giant’.